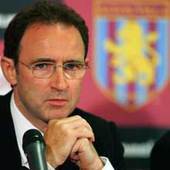 Martin O’Neill Villa fans are now starting to see the fruits of O’Neill’s labour. Two wins and two draws (including that incredible 4-4 draw against Chelsea) was a fine Xmas return for Villa, who are now up to sixth in the table. Nigel Reo-Coker, Ashley Young, Gabriel Agbonlahor, Martin Laursen and John Carew are all thriving under O’Neill. Juande Ramos The Spurs boss has steered his side to 12th in the table, and it seems the only way is up for the new, slimline Tottenham, despite yesterday’s loss to in-form Aston Villa. Even Tom Huddlestone looks athletic now, and you have to credit Ramos for injecting discipline into a squad that had failed to fully realise its potential. Emmanuel Adebayor The in-form Arsenal striker contributed greatly to his team’s three victories and a draw over the festive period. Ricardo Carvalho Chelsea’s cultured defender was sent off on Boxing Day for a stupid lunge. His red card probably cost Chelsea a win against Aston Villa. Fulham New boss Roy Hodgson has a hell of a job on to keep Fulham up. They’re having no luck this season at all, and I’m not sure Hodgson â€“ who is a safe pair of hands, but hardly an inspirational figure â€“ can change that in half a season.